Few people realise just how vast Table Mountain National Park is. All land on Table Mountain above the 150-metre contour is protected. 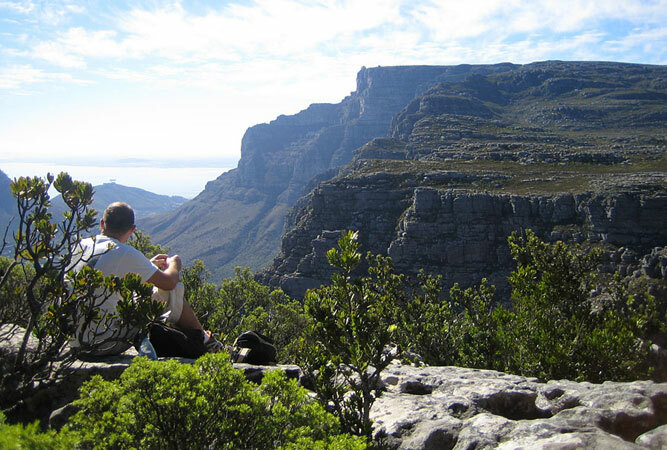 The 28 898 hectare reserve runs the length of the peninsular mountains that stretch from Signal Hill, overlooking Table Bay, all the way to Cape Point; a full 52 kilometres. It incorporates the coastal towns of Fish Hoek, Simon’s Town and Hout Bay, and protects an extraordinary 2 285 plant species, including 90 endemic and 141 threatened species. The Boulders Beach penguin colony, Silvermine and Cape Point nature reserves are also part of the mix. A far smaller reserve, Tygerberg protects the Tygerberg Hills in the northern suburbs of Cape Town. The hills protect a pocket of highly threatened Swartland Shale Renosterveld, whilst the reserve is also once again home to bontebok. The views from the hilltop are incredible (you can sit and watch planes land at the airport just below you, whilst in the distance you can see both Robben Island and Table Mountain). The 388 hectares protects 560 plant species, 23 of which are listed on the IUCN Red List. The main reason for this park’s existence is the protection of the Langebaan Lagoon; the most important wetland for migratory wading birds in the country (no rivers flow into it, making it rather unique). Included in the mix are four rocky islands (Marcus, Schaapen, Jutten and Malgas) supporting an incredible density of seabirds, and Postberg Flower Reserve – open annually during the spring when the flowers are at their best. The 31 128 hectare reserve is also the site of Eve’s footprints – found by palaeoanthropologists on a rock in 1995, they are proof that a woman walked these dunes 117 000 years ago. Set on the southern slopes of the Helderberg mountains in Somerset West this 402 hectare reserve that started out as a flower garden before becoming a reserve protects remarkable examples of fynbos, a wide range of proteas, and an enviable bird life. Up in the Du Toitskloof mountains the Limietberg reserve is particularly beautiful because it lies out of the way and is infrequently visited, other than by enthusiastic hikers who trail the Elandsriver, Krom River, Miaspoort and at least six other hiking routes that take them through the steep kloofs and impressive valleys of the reserve (you will need a permit to hike from Cape Nature or Wellington Tourism). The part of the reserve that can get busy is the popular Tweede Toll camp site that lies on Bainskloof Pass (the picnic area gets full quickly so get there early). Kogelberg is particularly unique because of minimal human interference over the years. As a result it is in pristine condition and easily Cape Nature’s most beautiful reserve. Just off R44 between Rooi Els and Kleinmond Kogelberg’s sensitive 3 000 hectare core protects diverse fynbos. The reserve falls into the greater Kogelberg Biosphere reserve, lying in the heart of the Kogelberg Mountains, home to a floral diversity greater than anywhere in the world. 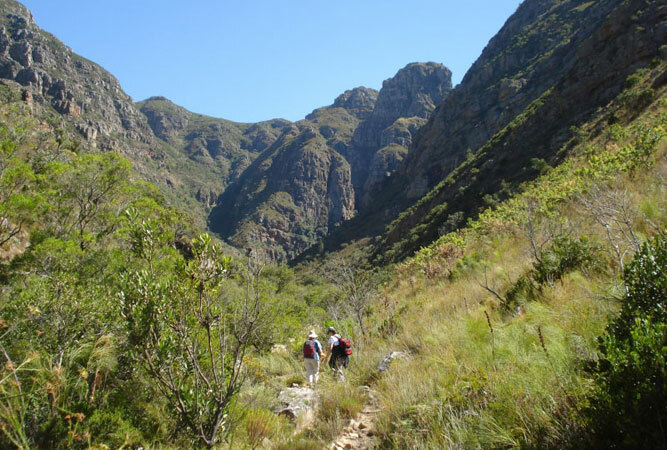 Explore the mountain fynbos, wetlands, riparian vegetation along the Palmiet River, and indigenous forest. 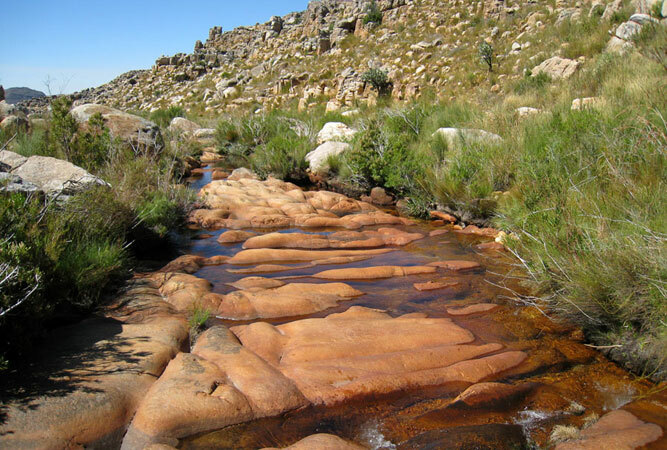 This wilderness is 71 000 hectares of rough, mountainous terrain dominated by spectacular sandstone rock formations like the Maltese Cross and Wolfberg Arch (both on well known hiking routes). It lies two hours’ from Cape Town. The area also protects mountain fynbos like the rare and endemic snow protea, whilst Clanwilliam cedars (the tree that gives this area its name) appear occasionally high on the mountains. 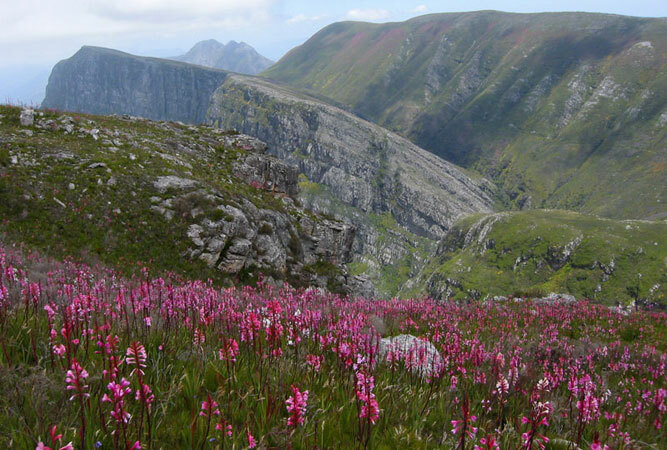 This reserve lies in the heart of the rocky mountains high above Elgin – 70 000 hectares of mountains, wild flowers, pools, waterfalls and incredible views. It’s not a pretty-pretty reserve where you spend the day picnicking, but rather a hardy, yet beautiful, terrain favoured by hikers, its entrance up on the Viljoen’s Pass between Grabouw and Villiersdorp. In the Langeberg find 250 hectares of rare indigenous forest (the most important stretch of afromontane forest in the South-Western Cape) close to the towns of Suurbraak and Heidelberg. Within the forest are trails, bushbuck, little streams strewn with moss-covered stones, and a feast of ancient trees that include yellowood, stinkwood, red alder and ironwood. Two rather unique bird hides give you a bird’s eye view through the canopy. The reserve is part of a World Heritage Site. 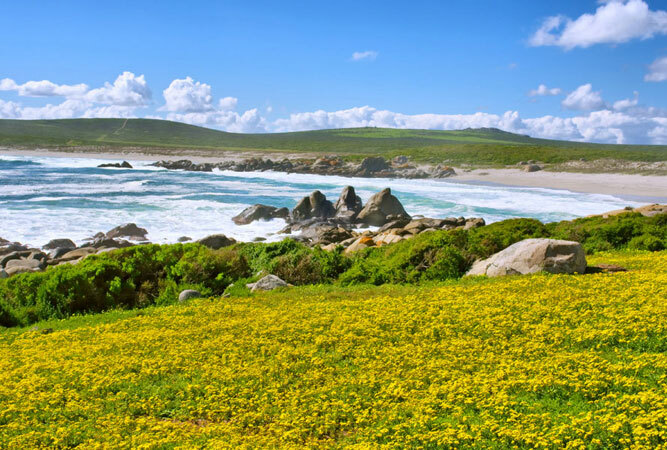 This 34 000 hectare coastal reserve lies in the heart of the Overberg and extends 5 km out to sea, making it one of the biggest marine protected areas on the continent. Its boundaries encompasses sea, sand dunes, tidal rock pools, a vlei, rare fynbos, the Potberg Mountains, and a range of animals that range from rare Cape vultures to mountain zebra, ostrich and whales (these waters are the offshore breeding nursery for the Southern Right whale).